On November 8, 1861, Charles Wilkes, a U.S. Navy Officer, captured two Confederate envoys aboard the British mail ship, the Trent. Great Britain accused the United States of violating British neutrality, and the incident created a diplomatic crisis between the United States and Great Britain during the Civil War. Jefferson Davis, President of the Confederate States of America, had dispatched these envoys—James Mason, former Chairman of the U.S. Senate Foreign Relations Committee and John Slidell, a prominent New Orleans lawyer—to secure British and French recognition of the Confederate States as a sovereign nation. Great Britain and France had maintained their diplomatic relations with the United States following the outbreak of the Civil War and had recognized the Confederacy as a belligerent power, but not a sovereign government, in early 1861. Davis sought to change this by negotiating with these nations for full diplomatic recognition. Official diplomatic recognition by Britain and France would not only lend credibility to the Confederacy’s bid for independence but would also pave the way for lucrative trade deals between the Confederate States and the European powers. Davis hoped that recent Confederate victories against Union troops would favorably dispose British and French officials to receive his envoys. In October 1861, Mason and Slidell slipped through the U.S. naval blockade and left Charleston, South Carolina for Cuba, where they took passage for England on the Trent. 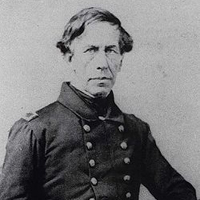 U.S. Captain Wilkes intercepted the Trent on November 8, 1861 and, without permission from Washington, ordered his lieutenant to board and search the ship. The U.S. boarding party took Mason, Slidell, and their secretaries as prisoners, but allowed the Trent to depart for England. Initial reaction on both sides of the Atlantic was strong. The United States, still smarting from the defeat at Bull Run during the summer, publicly celebrated this turn of events as a victory against the Confederacy and a blow to Confederate diplomacy. The British, on the other hand, strongly protested Wilkes’s action as illegal and a violation of their neutrality and demanded the release of the captive Confederate envoys as well as a formal apology. Although British officials continued to advocate a policy of neutrality, they did order troops to Canada and additional ships to the Western Atlantic. Neither the United States nor Great Britain wanted war, but it was clear that, at best, the Trent incident had sparked a major diplomatic disagreement and, at worst, appeared to have pushed Great Britain and the United States toward the potential for armed conflict. Thanks to a communication malfunction, the cable containing the severe early reaction and demands of British officials took almost a month to arrive in Washington. By then, emotions had cooled on both sides and a more balanced view of the situation prevailed. Nevertheless, the British still expected a response from President Abraham Lincoln and continued to emphasize that Captain Wilkes had acted without official authorization. The Lincoln administration understood that it would be unwise to risk a possible armed conflict and perpetuate bad relations with a foreign power while it was prosecuting a war against the Confederacy and moved to smooth things over through diplomatic negotiations. Charles Francis Adams, the U.S. Minister to Great Britain assured the British that the United States did not want a war and advised President Lincoln and Secretary of State William Seward that they should conform to some of the British demands. On December 26, 1861, Seward presented an official note summarizing the Lincoln administration’s position to Lord Lyons, the British Minister to the United States. Seward defended Wilkes’ action, although he conceded that Wilkes had erred by not seizing the Trent and letting a court affirm the legality of taking contraband prisoners. Nevertheless, Seward agreed to release the prisoners. Lyons, under orders from London, accepted this explanation thereby diffusing the diplomatic crisis. Ultimately, President Lincoln and Secretary Seward were satisfied with this outcome. However, the Trent affair confirmed that the British were willing to defend their position of neutrality in the American Civil War, a position that both the Union and the Confederacy had hoped to change.